With its curved silhouette, the Stella sconce’s juts out dramatically from the wall. 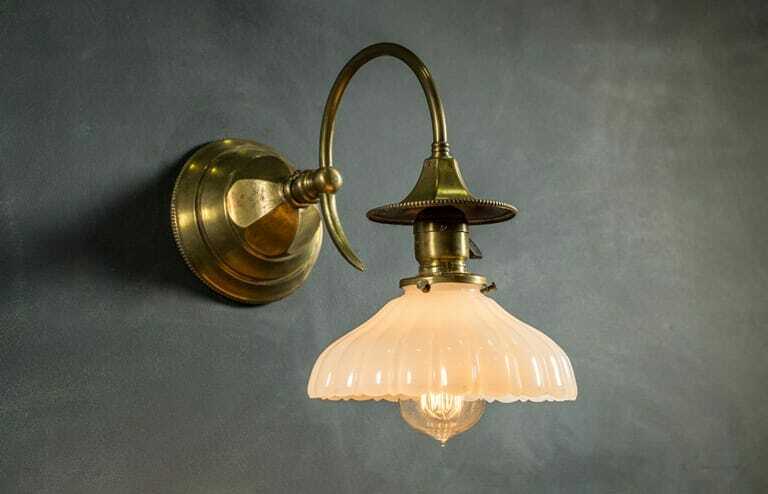 It’s topped off with a 20th-century fluted milk glass shade. Paddle switch.